Acetaminophen—known to many by the brand name Tylenol—is an over the counter pain reliever and fever reducer with mild anti-inflammatory properties. It is safely used in children, teens, adults and the elderly on a regular basis but should be avoided by certain population groups in order to reduce the occurrence of side effects. People who consume three or more alcoholic beverages per day or who are at risk or kidney or liver disease should not take Acetaminophen. Tylenol should be used in the lowest dose that effectively relieves symptoms for the shortest amount of time possible in order to reduce the likelihood of side effects. Acetaminophen works by inhibiting an enzyme called cyclooxygenase which transforms arachidonic acid into prostaglandins. These are substances that cause pain, fever and inflammation. Tylenol is a trademark of McNeil Consumer Healthcare. A great number of modifications of Tylenol are available, often combined with other drugs in order to provide relief for a lot of conditions. Tylenol is currently seperated into the 6 different product lines, each specialising in providing relief in specialized areas. The sinus and allergy formulations contain nasal decongestant, expectorant or antihistamine in addition to acetaminophen. Cold and Flu products contain acetaminophen as the main ingredient and is combined in different ways with a cough suppressant, expectorant, nasal decongestant or antihistamine. Some Tylenol formulations are aimed at relieving pain accompanied by sleeplessness. They contain diphenhydramine which has hypnotic properties. Some of the formulations should not be used by children under 4 years old without consulting a doctor. Always read the instructions before giving medicines to children. There may be slight variations in the names of the Tylenol products from country to country. Tylenol is a very useful medication as it can be used to treat toothaches, headaches and menstrual cramps, fevers associated with the common cold or flu, mild to moderate pain due to illness or injury and more. It can be delivered orally via capsule, tablet, suspension or chewable tablet or even rectally in the form of a suppository. Children and adults benefit from the medication equally and report nearly the same incidence of side effects. Patients who have displayed an allergy to Acetaminophen or who regularly take other medications containing Acetaminophen should not take Tylenol in order to reduce the chances of overdose and severe allergic reactions. Do not take any other medicines containing acetaminophen as there is risk of an overdose. Do not take Tylenol if you have liver or kidney disease or any other serious medical condition without consulting your doctor. If pain lasts for more than 10 days or more than 5 days in children, it gets worse or you have fever for more than 3 days, consult a doctor. Sometimes these could be signs of serious conditions. 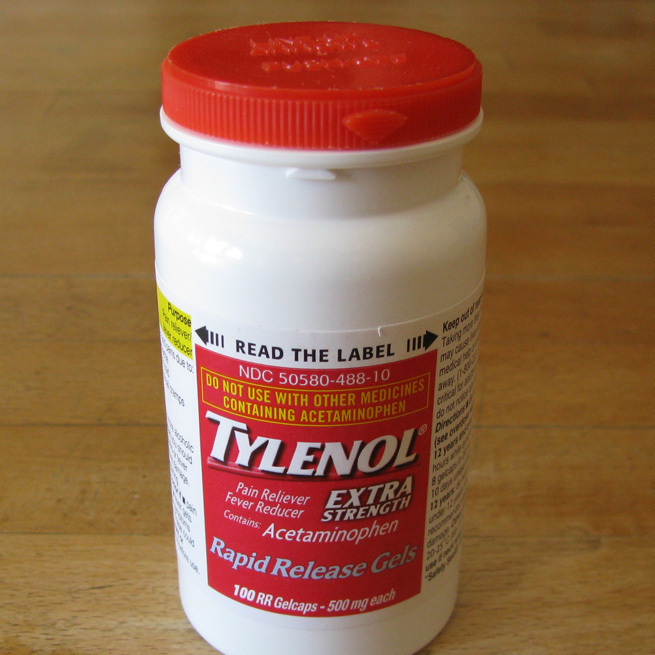 Do not take Tylenol if you are allergic to acetaminophen or any of the other ingredients. Some of the combined Tylenol forms are contraindicated in the cases of heart disease, high blood pressure, diabetes, thyroid disease, enlarged prostate, chronic cough or bronchitis, glaucoma. Read the directions before using them.